Note: The links on this page to articles at the website of the Alberta Report (later called Report Newsmagazine) no longer function and had to be removed. The Report Newsmagazine ceased to be published. As time goes by, Fathers for Life will endeavor to scan some of the articles that could formerly be accessed at the website of the Report Newsmagazine and are presently inaccessible. However, that will require much time and has to take a backseat to higher priorities. GLOBOCOP  Courting Trouble, 1998 06 29, Canada's Foreign Minister, Lloyd Axworthy, supports the establishment of an International Criminal Court. The radical feminists (more accurately called redfems) are exhilerated. Many people are worried, as they have reason to be! "...The Arabs were suggesting that a reference to "gender" in the proposed founding statute of the ICC ought to be reconsidered. But the Canadians and the Costa Rican were having none of it." "Then, of course, there is the Canadian-led bid to make the ICC a tool of radical-feminist and homosexual activists. So strident were Canada's efforts in this regard that many delegates left Rome profoundly embittered. "He will see in the future," commented one of the Arabs berated by Mr. Piragoff. "That's not a diplomatic way to behave. It's impolite. It's childish."" But of course, it won't end there. 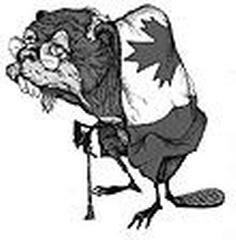 Canada's radical extremist heterophobes  with the active support of their federal government  will continue to cajole and coerce individual member nations into ratifying the statutes of the International Criminal Court. One by one these nations will be forced to comply until the ultimate goal of an ICC dominated by heterophobic and family-hostile activists is a reality. Child Access Enforcement: No justice yet for divorced dads  Alberta will reinforce child support, but ignores defiance of court-ordered access. Do our new-found ideas on children maybe explain the fact we can't control them? Does anyone around here know how to raise children? Canadians aren't happy. "... Early this year, in an attempt to appeal to middle-American values, presidential wife Hillary Clinton published a book entitled [sic] It Takes a Village. It distils her reflections on child rearing, she said, and its title comes from an African proverb, "It takes a whole village to raise a child." But her critics were unimpressed. ... "
Are computerized classrooms the wave of the future, or just the latest pointless distraction? The animal rights mascot finds little sympathy in cattle country. "This decline in fertility is happening throughout the developed world," says American Enterprise Institute demographer Ben Wattenberg, Washington, D.C.-based author of the 1987 book The Birth Dearth. "It's standard with modernization." Countries unaccustomed to immigration like Japan and Italy are in pitiful shape, he recounts. Japan, with a 1.5 TFR [Total Fertility Rate], will lose a third of its population in the next century; Italy, with a 1.2 TFR, will lose half."